Complete the Pyramidion Nightfall in Destiny 2 with Torrent and Zero Hour. Well, Guardians, it was too good to be true. Yesterday I wrote a guide about the Nightfall this week, and just to mess with all our good moods, Bungie changed it due to a known glitch. The new Nightfall for this week is the Pyramidion, and I’d say it’s a bit tougher to complete than yesterday’s Exodus Crash with its very forgiving modifiers. Still, here’s a guide to help you through the Pyramidion Nightfall in Destiny 2 which, truthfully, isn’t as bad as I’m making it sound. Torrent - Boundless power erupts from within. Your abilities recharge much faster. Use them to shatter your foes. Timewarp - Zero Hour: The mission timer CANNOT be extended. Choose your battle carefully. The mission timer will start with 22 minutes on the clock. Because of the Timewarp - Zero Hour modifier, this cannot be extended. You must complete the Nightfall in 22 minutes to be successful. If you’re trying for the challenges, you must complete the Nightfall in 17 minutes to check Speed of Dark off your list. The Torrent modifier is a gift on the Pyramidion. You will face many enemies. 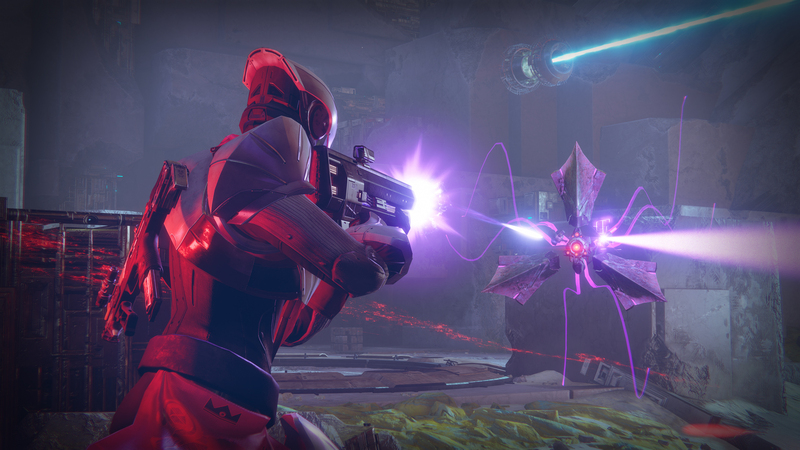 You’ll want a great area of effect grenade, like the Vortex grenade from the Hunter’s Nightstalker subclass. You could also go with the Solar grenade from the Warlock’s Dawnblade subclass. Those things will eat enemies, and you can throw them about every five seconds. As the Nightfall begins, speed forward on your Sparrow with your objective set to Approach the Pyramidion. As you get close, this will change to Fight into the Pyramidion. You must activate the two plates by standing on them, and then defeat the Vex in the area. Consider leaving at least one member of your three-person fireteam up top to rain destruction down on the Vex. Once the plates are activated and the Vex are dead, your objective will change to Enter the Pyramidion. Hop on your Sparrow and speed through the corridors until you see enemies. You can now hop off. Your objective will be to Travel into the Depths. Run and jump past all the enemies on the various platforms as you descend into the Pyramidion. Navigate through the three laser-like doors and traps until you reach a room where you must Defeat the Taken. Use your abilities here. Drop your grenade on the Taken almost non-stop, only firing your weapons when you are waiting for your grenade to charge. As a team of three, you should be able to blast through this room in less than two minutes, and that includes the next objective, Defeat the Vex. They should also be the targets of your many grenades and abilities so you can blast through this as quickly as possible. Enter the Warp Gate and you will be immediately asked to Find the Next Warp Gate. You’ll have to run through a series of laser-like doors and traps. Do so, and enter a room where you’ll need to Activate the Alters. There are a lot of Taken in here, but you should be able to push through them. The alters that you need to activate are just more plates on the ground. Stand on the plates to activate them. When you’re done with all three, go through the Warp Gate. You’ll need to navigate through several more of those laser-like doors and traps as you try to Locate the Last Warp Gate. When you reach a room with a few Taken, kill them and then proceed through the laser-like corridor with rotating bars. If someone on your fireteam should fall, and they likely will, don’t stop to revive them. Push forward in the interest of time. As you pass through the next area your objective will be to Hack the Network Towers. These look like Vex pillars that you can approach and turn your Ghost loose on. The problem is all the Vex in the area. This is likely to be your toughest fight so far in the Nightfall, so make sure you’re clearing a path and doing things right. Do them quickly, of course, but also do them properly and eliminate some of your enemies. With all the Network Towers hacked, you can proceed through the final Warp Gate. In front of you will be a giant hole in the ground and your instructions will be to Enter the Conduit. This is code for you to drop down the giant hole. Do so, then Summon the Genesis Mind by standing on, you guessed it, another plate. Your final objective will be to Destroy the Genesis Mind. This Vex fool likes to lock itself behind a wall you can’t penetrate. To lower the wall and deal damage, you’ll first need to… stand on the plates. These will have handy little objective markers to make your life easier. During the actual boss fight and damage phases against the Genesis Mind, it would be a great idea to have a Warlock with the Healing Rift. Things can get all kinds of squirrely in there, and being able to regain some health is essential to staying alive. It’s also important to focus on the enemies that spawn in. Damage is good, but the more damage you do, the more enemies you get. At some point you’ll be taking so much incoming damage that outputting it will become nearly impossible. This isn’t a long boss fight, so don’t worry too much if you must take 30 seconds to clean up the area. When the Genesis Mind falls you’ll have completed the Pyramidion Nightfall with the Torrent and Timewarp - Zero Hour modifiers. Grab your loot, and then head over to our Destiny 2 complete strategy guide to study up and be the most powerful Guardian you can be.